Краткое описание: It's a Bumpin', Bruisin', Brawlin' Bash! 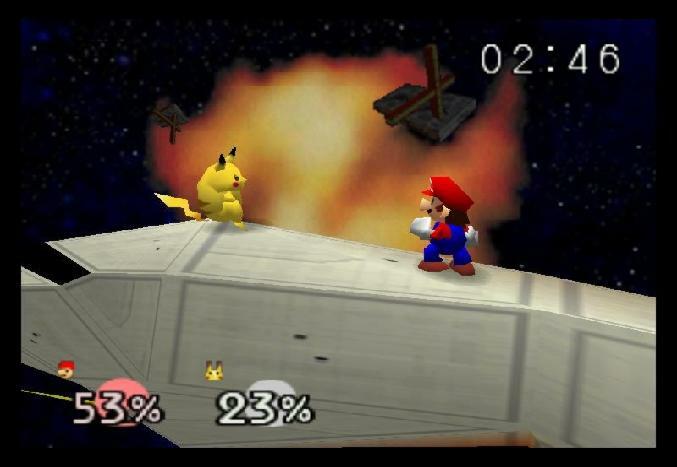 The many worlds of Nintendo collide in the ultimate showdown of strength and skill! Up to four players can choose their favorite characters - complete with signature attacks - and go at it in Team Battles and Free-For-Alls. 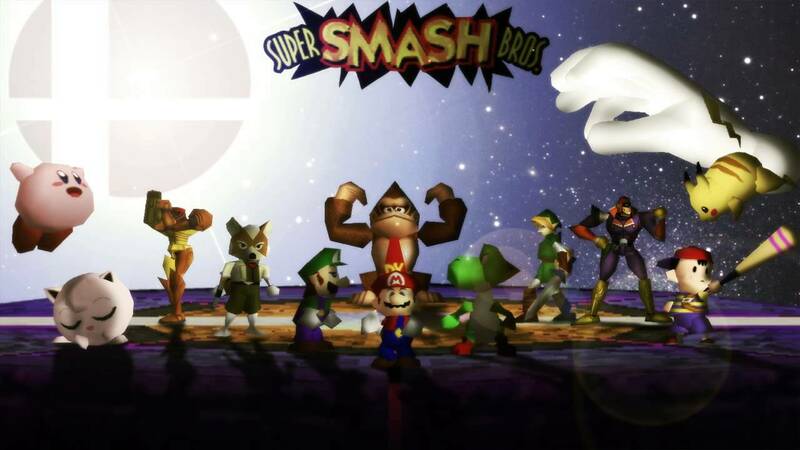 Or venture out on your own to conquer the 14 stages in single-player mode. 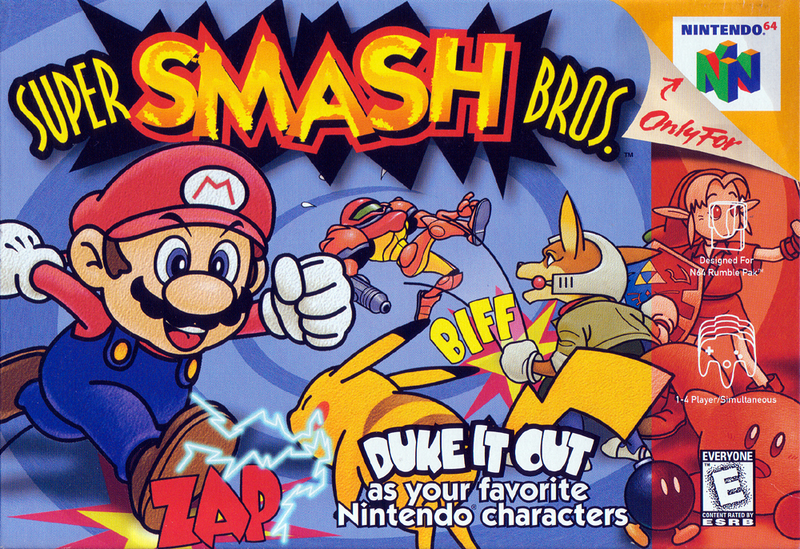 Either way, Super Smash Bros. is a no-holds-barred action-fest that will keep you coming back for more! It's a Bumpin', Bruisin', Brawlin' Bash! 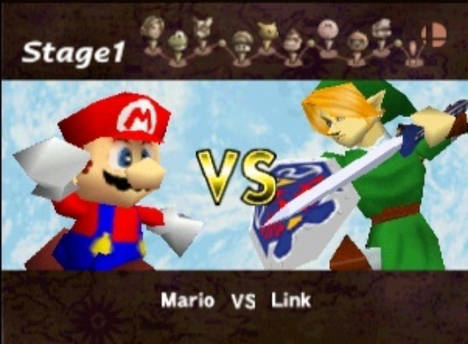 The many worlds of Nintendo collide in the ultimate showdown of strength and skill! Up to four players can choose their favorite characters - complete with signature attacks - and go at it in Team Battles and Free-For-Alls. 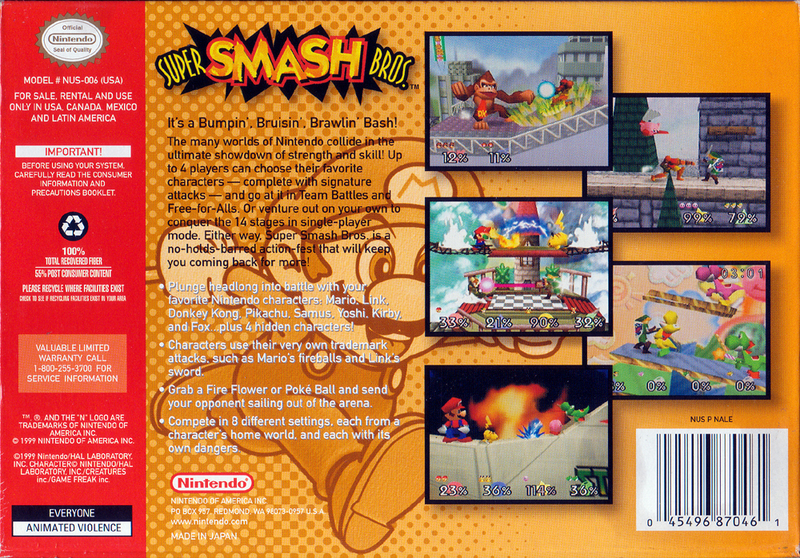 Or venture out on your own to conquer the 14 stages in single-player mode. 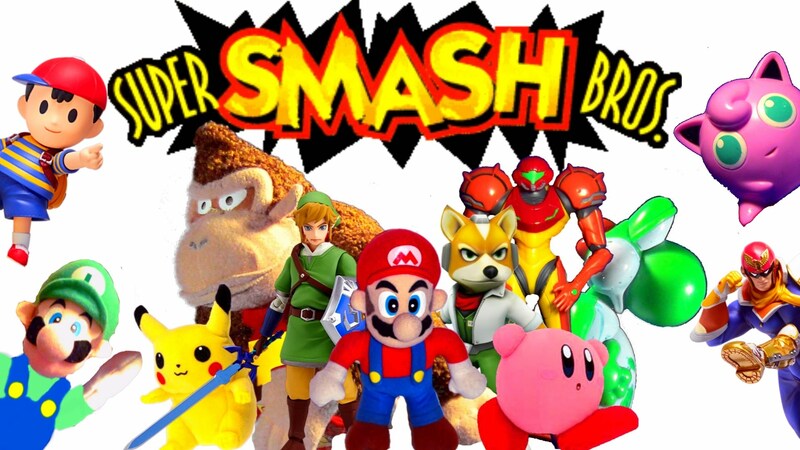 Either way, Super Smash Bros. is a no-holds-barred action-fest that will keep you coming back for more!